Widely available throughout the world limestone is a sedimentary rock largely composed of grains. These grains are in fact the skeletal fragments of marine organisms that existed millions of years ago. 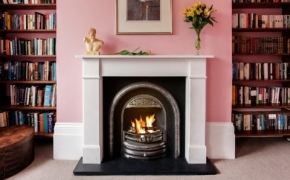 English Fireplaces favours Aegean limestone (sometimes called new cream or Anatolian limestone). This limestone, typically a uniform oatmeal in colour with small fossils to convey character has a strength and durability that facilitates the deliberate lines of contemporary fire surrounds. We also use the slightly softer rosal limestone from Portugal for some designs of fireplaces. Although limestone has been one of the main materials from which fire surrounds are carved for centuries it is enjoying unparalleled prominence at the moment. 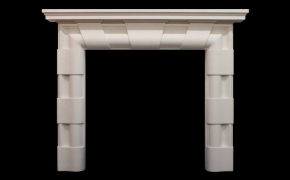 Contemporary styles of fire surround with their emphasis on architectural forms rather than intricate carving favour a choice of limestone rather than marble or sandstone. 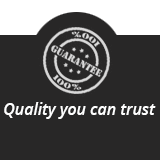 So don’t miss out on our extensive range of limestone fireplaces and fire surrounds. 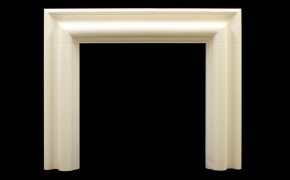 The combination of a modern or indeed a minimalist design and limestone to create a fire surround creates a wonderful fusion of form and material. Such a fire surround compliments a wide range of current room decors – a quiet understated voice emphasising harmony. 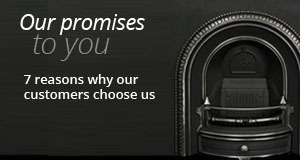 You’re spoilt for choice with our deluxe range of limestone fireplaces and fire surrounds. In the past, fireplaces were intended to be an authoritative, perhaps masculine statement, dominating the room. 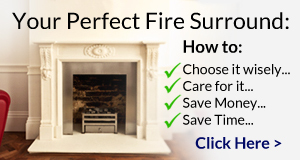 This can still be the case today – but more often a limestone fire surround offers a quieter, more feminine choice. And of course we are able to provide fire surrounds carved in the more traditional English and French limestones as bespoke items.